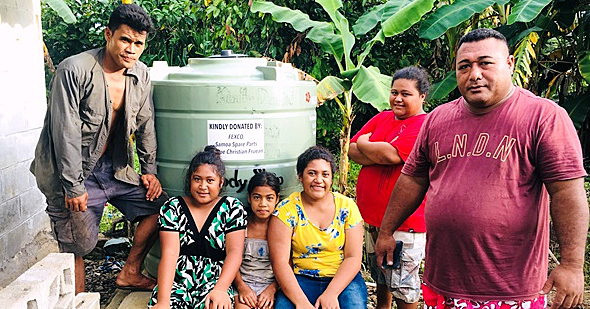 Bluesky Samoa has presented the Unit Trust of Samoa (U.T.O.S) with a dividend of $1million. The presentation was made during a joint U.T.O.S-Bluesky press conference yesterday. 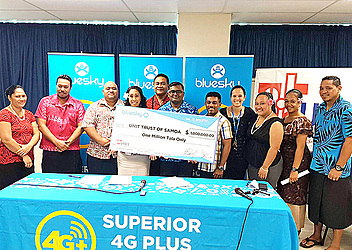 Bluesky Samoa Country Manager, Alex Abraham, presented the dividend to U.T.O.S for its 25per cent shareholding in Bluesky Samoa Ltd. The Chief Executive Officer of U.T.O.S (Management) Ltd, Sau Justina Sau Lam, was happy to receive the dividend. 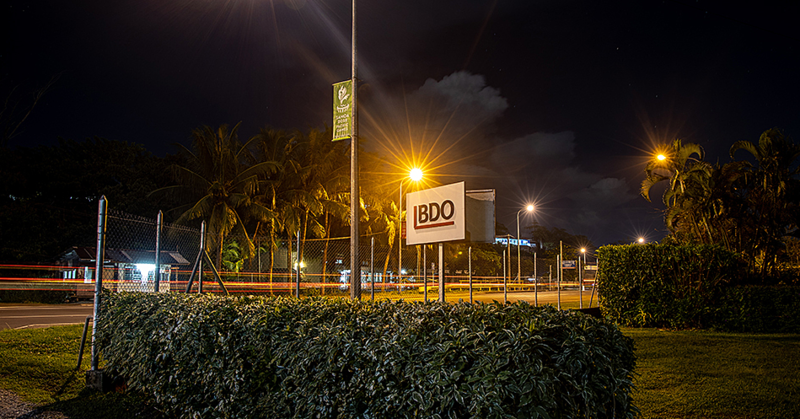 The money is equivalent to a 12.6per cent return on U.T.O.S’s investment in Bluesky Samoa Ltd.
U.T.O.S has received a total of $5.9 million dividends from its investment in Bluesky since 2011, including the $1 million dividend received this morning. The Unitholders of U.T.O.S have been enjoying the returns of its Bluesky investment as reflected in the value of their unit investment. The $1 million dividend income translates to a two sene per unit increase in the value of the unit on 20th April 2017 when the Board of Bluesky Samoa made the decision to pay a dividend to its shareholders. Also announced during the press conference was a 9 sene per unit dividend distribution to Unitholders of U.T.O.S. The dividend distribution for Unitholders was declared during the U.T.O.S (Management) Company Board of Directors meeting on 14 June 2017. The distribution is equivalent to 9per cent of a Tala invested in the Fund. The total amount expected to be paid to Unitholders from this distribution is $3.9 million. The dividend from Bluesky Samoa contributes directly to and is included in this amount. A total of 1,928 Unitholders are entitled to this dividend and they will be able to take out or reinvest their share commencing from Monday, 17th July 2017. Unitholders are able to check their investment balance and dividend amount online commencing from 17th July 2017. Both U.T.O.S C.E.O Sa'u and Bluesky Country Manager, Mr. Abraham encouraged all those who have not invested in U.T.O.S to make an investment now and subscribe to services offered by Bluesky to reap future benefits from Bluesky. Unitholders will not only benefit from low cost rates offered by Bluesky, but their money will be returned back to them through dividends to U.T.O.S.